Ooh look, a brand spanking new year to explore! 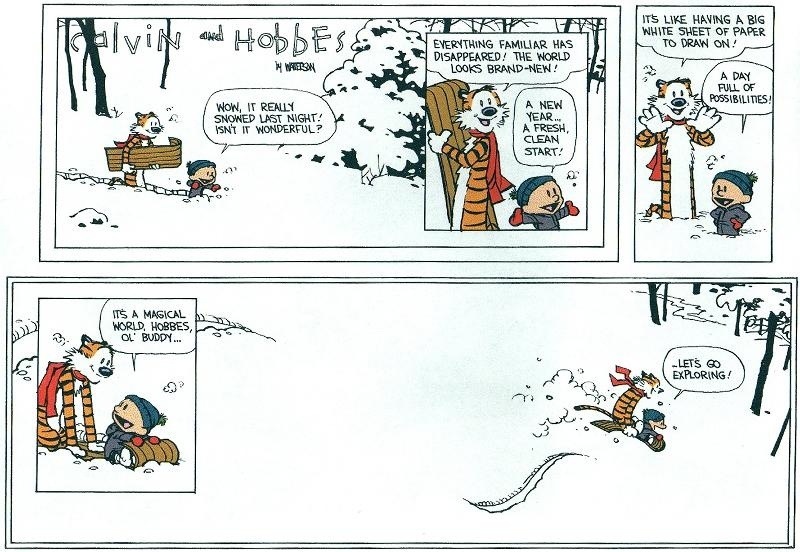 I just saw Robin Ince share this beautiful Calvin & Hobbes cartoon on Twitter. What a lovely image at the beginning of a new year. New Year is a bit like a new exercise book at school – you almost don’t want to write on the front page for fear of spoiling it. Next A New Year meditation: You also shall light my candle; the Lord my God shall make my darkness to be bright.